It was around 1395, that Queen Jadwiga of Poland founded a church to be dedicated to the Visitation of the Blessed Virgin Mary just outside the walls of Krakow in an area of sandy soil known as Piasek. Then in 1397, she invited a community of Carmelite friars from Prague to come and serve in the new church. So began the first foundation of the Carmelite Order in Poland. The Carmelites had originated as a group of hermits on Mount Carmel in the Holy Land in the early 13th century. 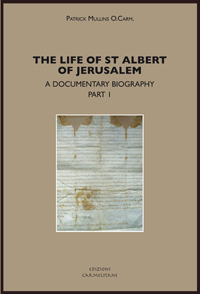 Given a short "Way of Life" by Albert, the patriarch of Jerusalem, c1212, the hermits soon found themselves under threat from the increasing attacks of the Muslim forces and from 1235 onwards, small groups of them sought refuge, first in Cyprus and then in Western Europe notably in Italy, France and England. The Carmelites spread rapidly throughout Western Europe and then expanded further afield. In 1347, a foundation was made in Prague, followed by one in Vienna in 1360 and another in Budapest in 1372. The unsettled conditions in north-eastern Europe delayed the Order's arrival there until Queen Jadwiga's invitation in 1395. It is of some pleasure to mention here that one of the early visitors to the new foundation in Krakow was likely to have been the English Carmelite provincial Thomas Netter. He was one of an international embassy who were sent to negotiate between the Polish-Lithuanian forces and the Teutonic Knights and is known to have arrived at the king of Poland's camp near Krakow in 14th July 1419 and almost certainly would have paid a fraternal visit to the Carmelite community at Piasek. By this time, the community was flourishing. Papal permission and royal patronage from king Jagiełło led to a gift of land on which to build a new monastery and to complete the church. This building work progressed slowly and in 1473 an agreement was signed which hoped that the church would be finished by the end of the year but Szymon Sułecki claims that construction work continued until early in 16th century. As the construction neared completion, tradition claims that a fresco featuring Our Lady which was beginning to be painted on the outer wall of the church was miraculously completed during the night while the artist was asleep. This supernatural event led to the painting of Our Lady of Piasek becoming a centre of devotion and attracted many pilgrims. Later, a side chapel was built around the painting to protect it. Over the years, the Polish Carmelites made further foundations so that in 1462, a Province of Poland and Bohemia was established by the General Chapter meeting in Brussels and finally the Polish houses became a separate province during the 16th century. The vicissitudes of Polish history have ensured that the Carmelites houses there have suffered in all sorts of ways and many friars have lost their lives. Most of these foundations have now disappeared. However, throughout the centuries, the Carmelite community in Krakow has somehow managed to survive. It suffered a serious fire in 1587 when the suburb was set alight during a civil war. Then, during the Swedish occupation in 1655, the church and monastery were sacked and set on fire and afterwards in 1657, the remaining buildings were largely demolished by the Swedish authorities. In 1677, there was a severe plague which resulted in the death of 30 friars but, despite this, the church was finally rebuilt and consecrated in 1679. Then in 1813 during the partition of the country when Krakow was controlled by the Austrians, the community was formally dissolved, and the church taken over by the parish clergy. The friars, though, managed to survive and obtained permission to use the chapel of Our Lady of Piasek. More recently, the Russian occupation created further difficulties. Yet despite all this, the Carmelites in Krakow have held on and even, as other houses were closed or suppressed, it retrieved whatever books, manuscripts and painting which could be salvaged. 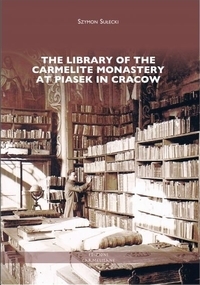 It is from his unique position as librarian for the archives and special collections in Piasek that Szymon Sułecki has produced this account on the library of the Carmelite community. Its origins as a doctoral thesis is evident but Sułecki's book is far more than a simple analysis of the holdings of the Carmelite library. His study of the surviving manuscripts and the large collection of incunabula provides the starting point for an intriguing account of the development of the Carmelite community, the studies undertaken by the students and the incredible way in which so much of the archives and early printed books have been preserved throughout the centuries, despite so many potential disasters and invasions. As is appropriate for a work written primarily about the library holdings of the house, the book covers the surviving catalogues in detail and a total of five appendices reproduce the text of the more significant documents. The Carmelite house in Krakow was appointed as a studium generale in 1472 and forged close links with the Academy (University) of Krakow. This guaranteed a good academic foundation for the Polish students and, for an English reviewer, it is pleasing to note that at least two Polish Carmelites were sent to undertake further studies in philosophy at the Carmelite studium in London. The author has uncovered the generous bequests from wealthy donors which have enriched the library over the centuries, from which many volumes still remain. In addition, he has included a collection of 70 photographs which illustrate the most significant volumes in the library and also some of the frescos in the early library room which were painted at the end of the 17th century. For librarians, Sułecki's book will serve as a very valuable account of a religious community library whilst for historians, his book gives a good insight into the history of the senior Carmelite community in Poland. There are a few observations which remain to be made. The translation of Sułecki's text from the original Polish must have been a major undertaking and the translator, Justyn Hunia, deserves credit for his labours. However, a little more editing would have been helpful. The English would have benefitted from a careful reading by a native English speaker to remove a few grammatical errors and there are the occasional misprints, i.e. the late Fr James Boyce is called Boys on page 6. There is one part of Szymon Sułecki's book which does need some revision and that is his summary of the early history of the Carmelite Order in chapter 1. In recent years, there have been a number of important publications on the early history of the Order, so it is now clear that Simon Stock was not prior general from 1247-1265 but more probably from c1256-1265 as a Godfrey was prior general from c1247 to c1253 and he was followed by an Alan. Similarly, the scapular vision attributed to Simon Stock is a later invention and does not appear until the late 14th century. Finally the "reaction and desire to return to eremitic ideals" (27) following the death of Simon Stock is due to an optimistic reading of Nicholas the Frenchman's Flaming Arrow written 1271. Nicholas's passionate appeal for a return to a more contemplative life was written in Cyprus and sadly, he died before it could circulate around the Order. The work remained unknown until the early 15th century when it was referred to by Jean Grossi and first quoted by Arnold Bostius in his De Patronatu in 1479. The author cites the J. Humphrey's edition of the Aylesford Library list in his volume on the Friars Libraries in the Corpus of British Medieval Library Catalogues and may not be aware that Richard Sharpe, the general editor of the Corpus is preparing a revised edition of this early volume. On the website for the Corpus, there is Sharpe's List of Identifications (938 pages) which is an invaluable resource for any librarian researching medieval library catalogues. Finally, I live in hope that Szymon Sułecki will continue his excellent work and produce a catalogue of the extensive collection of paintings which have been preserved in Krakow. And could some scholar write a history of the Carmelite houses in Poland in a readable language for those of us not blessed with a knowledge of Polish? Jens Röhrkasten: Thomas Netter: Carmelite and Diplomat, in: Thomas Netter of Walden: Carmelite, Diplomat and Theologian (c.1372-1430), ed. Johan Bergström-Allen / Richard Copsey, Faversham 2009, 131.